Tonight’s craft comes to you a little late because I’ve been watching and thoroughly enjoying Eurovision! So good! My favourites were Malta, Denmark and Norway, and for memorability (and scariness) Romania. How about you? 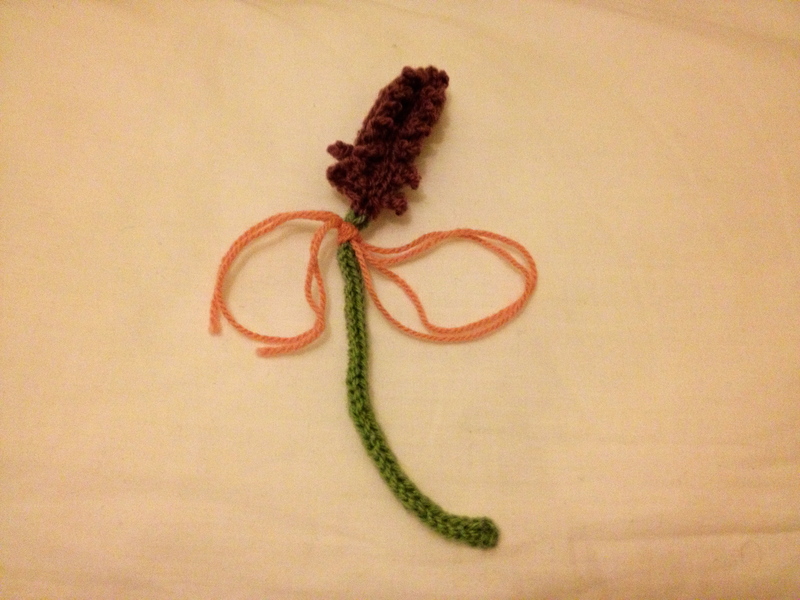 For tonight’s flower, I knitted a stalk/stem/floret/bit of lavender. 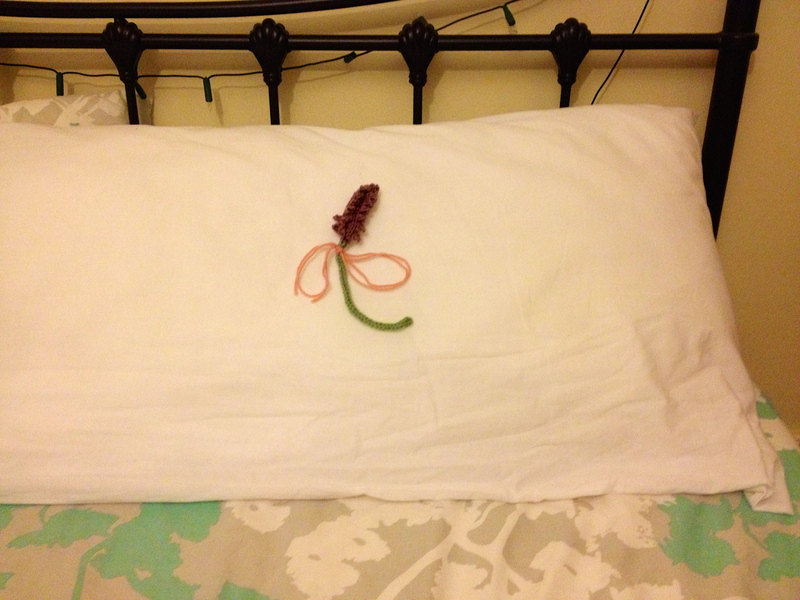 Longer lasting than real lavender, but not as sweet smelling nor as tasty as a chocolate! Hoping you had an equally enjoyable night!